My name is Moto-Charlie. 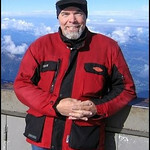 I have been traveling to the Alps of Europe for more than 30 years. I have ridden through them almost every year by motorcycle - sometimes 2 to 4 times a year. 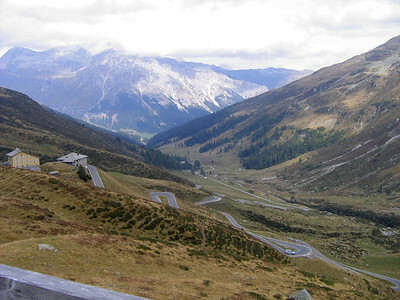 I always travel in the summer, which is short in the Alps (late May to late September) so that I can ride all the passes and back roads without having to worry about snow (or at least too much snow) keeping me from my travels. In 1999 I decided to start a small tour business for the purpose of providing low cost, small group, maximum riding, personal service motorcycle tours of the Alps. 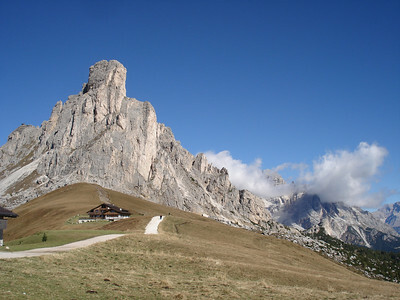 You can find out more information about my tours at http://alps-tours.com. There is also a link to the website at my Alps-Tours.Photos gallery. The pictures in the gallery were taken by different tours members. 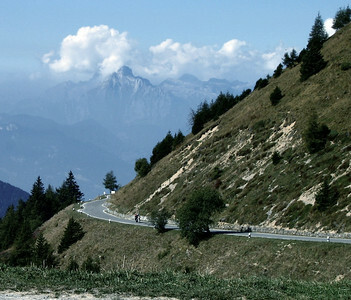 The photos in the main Alps-Tours.Photos gallery are loosely organized in the order of my TOP 10+ route. I also have smaller "mini" galleries designed to give you a quick view of some of my favorites places for each specific tour. My tours focus on riding, but we do take time to enjoy the wonderful sights and the spectacular scenery. Hopefully these pictures give you a good idea of both the riding and the awesomeness that is the Alps.